Lawrence Berwitz practices law in the areas of estate planning, retirement distribution planning, probate and trust administration and elder law. Mr. Berwitz has over 35 years experience practicing law. Since 2000, he has devoted his practice to estate and asset preservation planning, estate administration and elder law including Preparation of Wills, Health Care Proxies and Powers of Attorney, Creation and Implementation of Trusts, Planning for Individuals with Special Needs, Asset Preservation and Planning to Minimize Estate Tax Liability, Medicaid Eligibility Planning / Preparation of Medicaid Applications, Guardianship and the Representation of Guardians, Probate and Administration of Estates and Related Litigation and Pet Trusts and Planning to Protect Pets. Mr. Berwitz is a member of the National Academy of Elder Law Attorneys and the Estate Planning Council of Nassau, Inc. He also serves on trust and estates, taxation, elder law and Surrogate’s Court practice committees for the New York State, Nassau County and Queens County Bar Associations. Mr. Berwitz’s career has brought him before the Supreme Courts in the greater New York metropolitan area as well as upstate, and the appellate courts of the First and Second Departments. In addition to New York State Courts, Mr. Berwitz has also handled matters in the United States District Courts for the Southern and Eastern Districts of New York, the Southern District of Florida and the United States Court of Appeals for the Second Circuit. Mr. Berwitz is also a certified mediator concerning issues that relate to his areas of practice. He is a current co-vice chairperson of the Nassau County Surrogate’s Court Estates & Trusts Committee and a past co-chairperson of the Nassau County Elder Law, Social Services & Health Advocacy Committee. 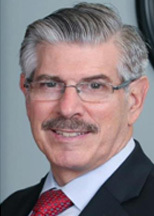 He has been a guest speaker on the radio, lectured at continuing education courses for attorneys for the Nassau County and New York State Bar Associations and for accountants and authored articles on issues concerning estate and asset preservation planning, Surrogate’s Court practice and elder law including Medicaid, Medicaid eligibility, guardianships and special needs planning.